Staircases are arguably the most important part of a multi-level house. Not only do they serve as a very important tool for getting from one floor to another, but they also decide the flow of the house. 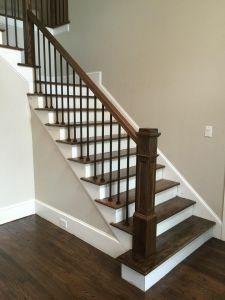 If your staircase creaks and you don’t even know the last time the boards were replaced, you’re likely looking at more than just a detriment to the fengshui of your home – you probably have a safety concern on your hands. If this sounds like you, drop everything you are doing and read on! You may think that creaky stairs are a commonality and are nothing to worry about. Really, this is a sign of dangerous boards that could break or detach from the staircase, which could cause serious injuries to you and your family. But don’t worry, there is an easy DIY fix for both the safety and look of your stairs. All you need is some help of wood boards, paint, nails, and a saw. Start by examining your stairs from the underneath, if possible. Often tightening screws, adjusting nails, or using a bit of wood glue can secure your steps more without having to replace them. If you see a lot of discoloration, holes from termites or other bugs, or rotting spots you should go straight for brand new boards. Carefully take off a riser to use as a template to measure and cut the new ones. Remember that cutting a board a little too big is better than cutting one too small, as you can always cut them down a bit more. Before you nail on the new tread you must secure the new riser to the stringers (A.K.A the existing frame). After you secure the first riser you can then secure the first tread. For the treads, using boards with one rounded edge will be the easiest. We recommend replacing one board at a time before taking the next board off. This way, you will always have a full functional staircase for the duration of your project. 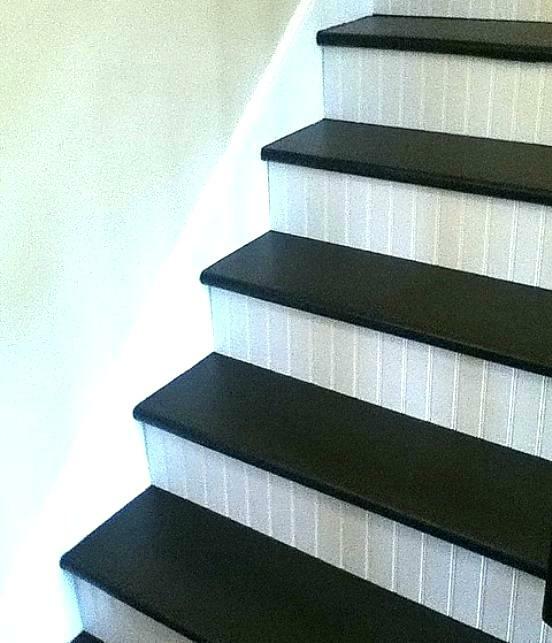 Once all of the treads and risers are replaced you can stain, paint, or add tile to your new stairs. A dark colored tread with a complimentary colored riser will make your staircase look tall and modern. The tread can be painted a solid dark grey, brown, or black. 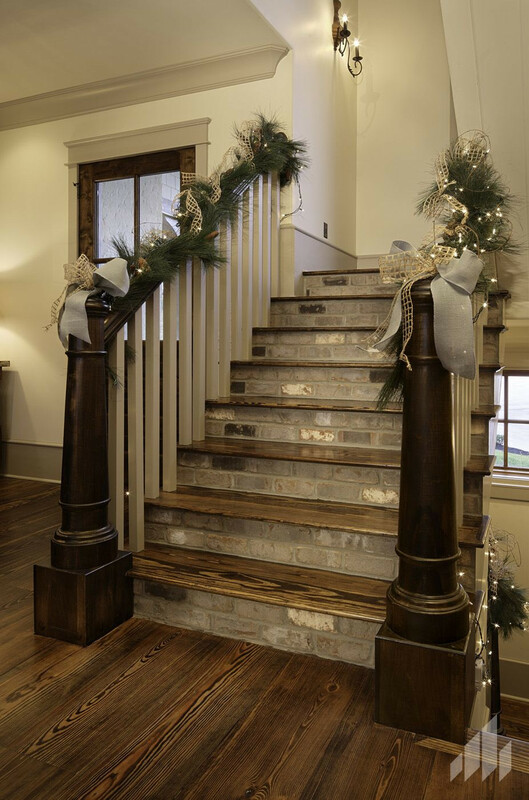 If you like a more traditional or exposed wood look, try staining the treads with a black cherry or walnut color. Your risers should complement the treads and tie in the color scheme of your home. You can use an off-white paint for a fresh look, or a pop of color to make it look modern. 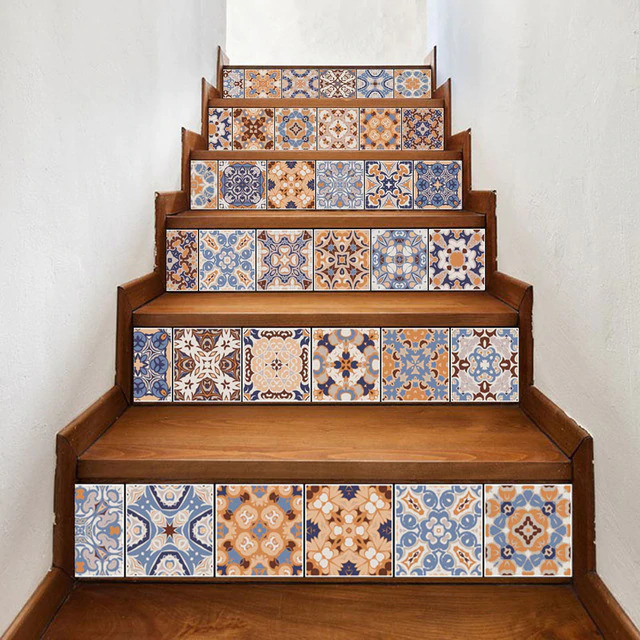 If you want to incorporate different colors or tiles into your staircase, then the risers are the place to do it! An added bonus of using tile risers is that they are so easy to clean if they get scuffed. Now that you know how easy it can be to change your staircase, what other projects would help spruce up your home? Give us a call about any other home renovation projects we can help make happen in 2019!